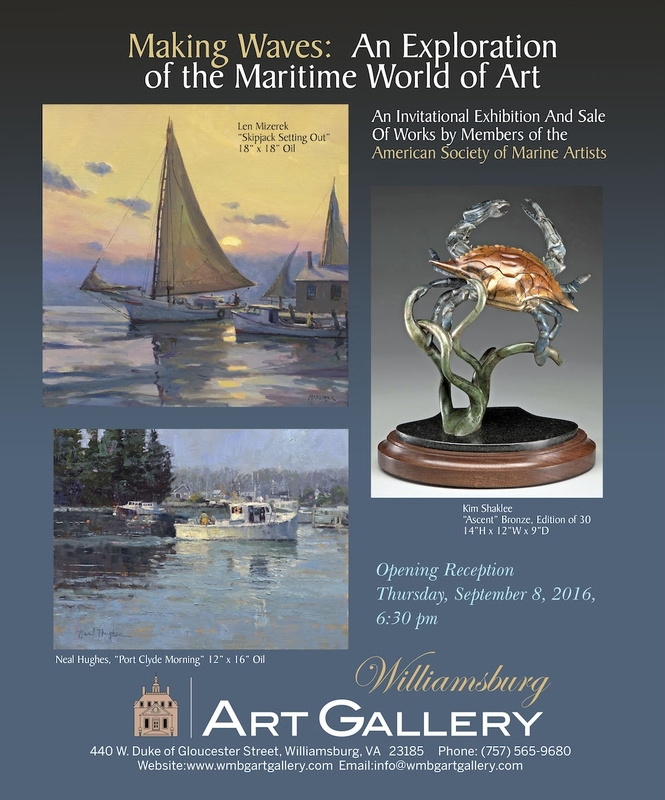 The American Society of Marine Artists (ASMA) (https://americansocietyofmarineartists.com/) is a non-profit organization established in 1978 to ‘recognize, encourage and promote Marine Art and Maritime History.’ Their members include many of the most accomplished marine and naval painters and sculptors in the world today. You may have viewed some of their exceptional work first-hand in September 2016 if you were lucky enough to attend ‘Making Waves’, a juried invitational art show, which we hosted at Williamsburg Art Gallery. I just became an ASMA member this year and when I learned they would be celebrating their 40th Anniversary in the beautiful city of Charleston, S.C., it was an opportunity not to be missed! 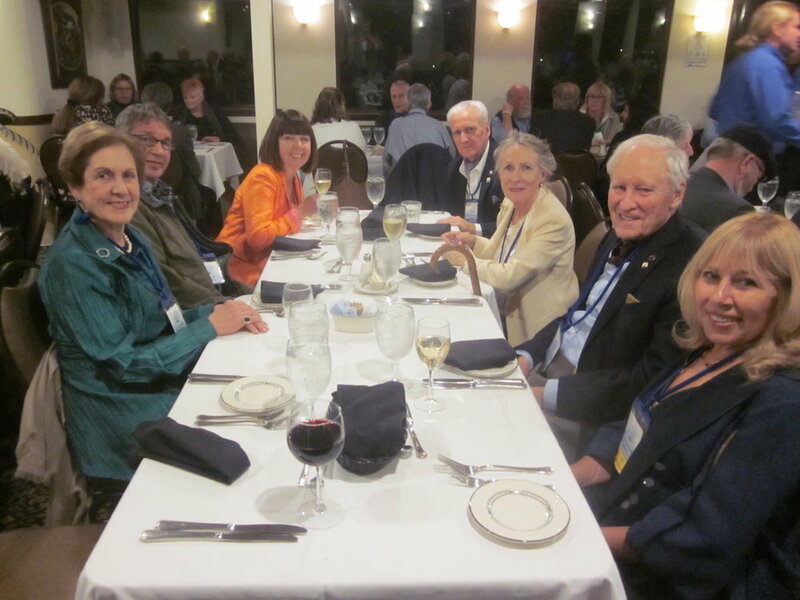 There was a great Kick-Off dinner at the Indigo Hotel in Mt. Pleasant, S.C. where over 100 ASMA members stayed between Nov 1st –5th. There were some very instructive painting demonstrations by noted artists Roger Dale Brown, by Dee Beard Dean on location (‘plein air’) at the Charleston Yacht Club, and by Don Maitz, a nationally-known artist and illustrator, who used Blackbeard the Pirate as his theme to describe his work. An elegant invitational show of ASMA members’ work was held at the Principle Gallery in downtown Charleston and on the final evening, a superb Captain’s Dinner Cruise took place in Charleston harbor during which outgoing ASMA President Kim Shaklee was honored and incoming ASMA President Lisa Egeli was welcomed. It was a wonderful five days and there was even time to get re-acquainted with lovely Charleston between the many events and lectures. Back in time for Fall Arts Season!